They did it again. 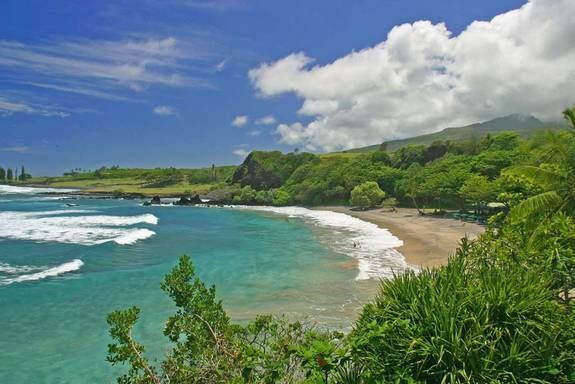 The Hawaiians are the happiest people in the nation, while West Virginia held its bottom spot with the lowest overall well-being among U.S. states, finds a new Gallup-Healthways poll. No huge bumps up or down were seen between the 2011 and 2012 well-being rankings, though Vermont, Massachusetts and Iowa moved into the top 10 highest well-being in 2012. Seven of the top 10 spots went to Western and Midwestern states, while Southern states snagged the six lowest well-being slots. The results are based on telephone interviews conducted from Jan. 1 to Dec. 31, 2012, with a random sample of 353,564 Americans, ages 18 and older, living in all 50 U.S. states and the District of Columbia. To understand state well-being, Gallup relied on six measures: life evaluation (self-evaluation about your present life situation and anticipated one in five years); emotional health; work environment (such as job satisfaction); physical health; healthy behavior; and basic access (access to health care, a doctor, a safe place to exercise and walk, and community satisfaction). Overall well-being scores range from 0 to 100, where 100 represents ideal well-being. Hawaiians were the most likely to say they were “thriving,” snagging the highest score on Life Evaluation, the most likely to say they smiled or laughed a lot the day before the survey, and the least likely to report daily worry or stress (emotional health). Residents of the Aloha State also had the most positive workplace environments; Rhode Islanders indicated having the worst work environments. West Virginians were the least likely to say they were thriving and the most likely to report depression; they also had the lowest emotional health and physical health, all of which kept the state at the very bottom of the well-being list. With the highest percentage of residents having health insurance, Massachusetts ranked highest for access to basic necessities. Mississippi scored the worst on this metric. Both public and private sectors can take part in improving well-being, though happiness, as many may know, is a tough one to crack. So what makes a person happy? A study published in the December 2009 issue of the Journal of Research in Personality found that states with higher gross regional product (GRP) per capita (level of productivity and standard of living), higher income levels and higher median housing value were significantly happier than poorer areas. The study looked at Gallup’s 2008 well-being scores, finding that the happiest states that year also tended to have more residents with advanced educations and jobs that were considered “super-creative,” such as architecture, engineering, computer and math occupations, library positions, arts and design work, as well as entertainment, sports and media occupations. When you are ready to make Maui your happiest place don’t hesitate to contact me at 808-276-2004 or visit my website www.SoldOnMaui.Net to search the Maui MLS & check out New Listings and much more. Or e-mail me at trendi@maui.net and tell me what you’re looking for!